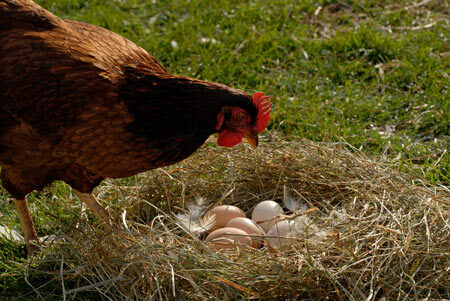 Rhode Island Reds are an egg laying breed through and through. 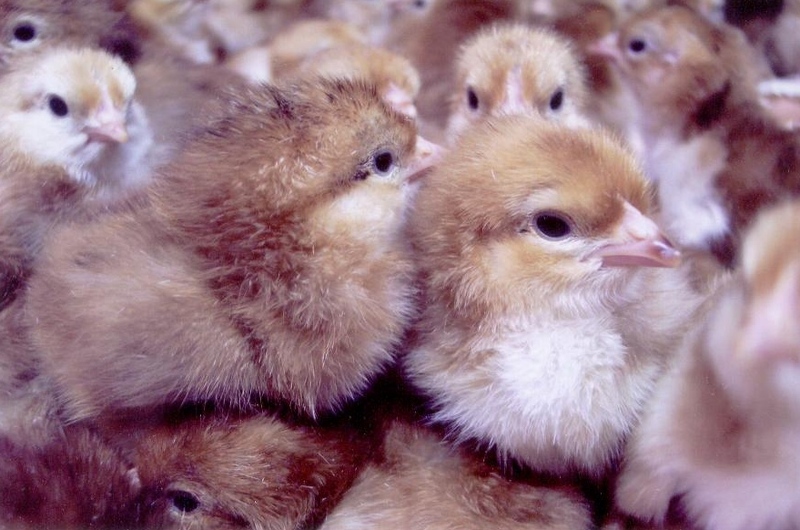 They can produce up to 220 eggs in a year on average. Since they are also hearty birds, they make for good meat chickens. Plus, as they’re so popular around the world, they are prized in shows. 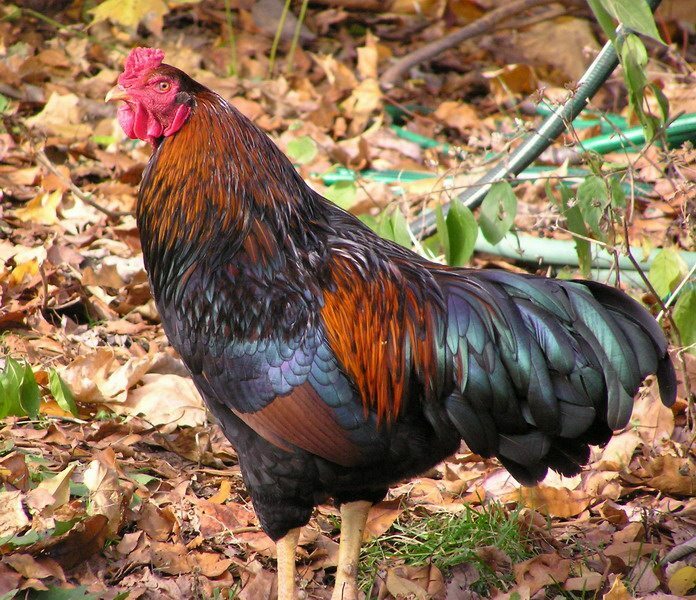 Rhode Islands are aggressive birds with the roosters frequently fighting when confined to too small of a space. However, they tend to do very well with humans, coming running when it’s time to be fed or even just to be held. It’s quite normal for a Rhode Island Red to hop up onto your arm to roost. Rhode Island Reds have a rectangular shape to their bodies and well rounded breasts. Their tail, though, is pretty short compared to their body and is carried just slightly raised. They have red combs that are either rose shaped or just single combs. They have medium sized wattles and large ear-lobes, both red. Their eyes, also red, can be fairly large. Their most well known coloring is that of the red style, though they do come in white as well. Rhode Island Reds need space to run around, otherwise they’ll start bugging each other and get aggressive quickly. Given the space to roam they’ll forage on their own, but while they are capable of flying they don’t really have any inclination to pick up and fly off, so you needn’t worry about a super high fence or a roofed-in chicken run. Rhode Island Reds come from, you guessed it, Rhode Island, being bred to perform as an egg laying machine. 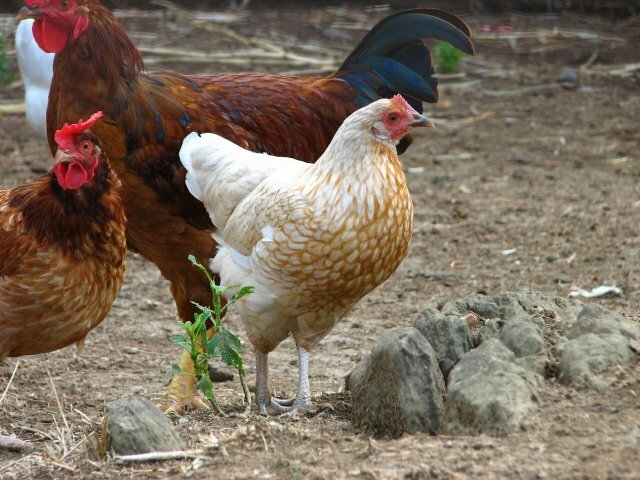 Rhode Island is so proud of these chickens that they’re the official state bird. 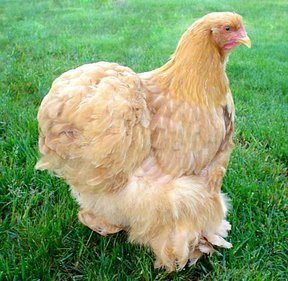 The breeding process necessary to producce the first Rhode Islands involved Cochins and Malays, among others. It wasn’t until 1904 that they were accepted into the American Standard of Perfection but even before and since they have been exported everywhere for use as a utility bird and serve as the primary egg layers in commercial egg companies.